What are the natural benefits of taking Turmeric Powder? Turmeric is made up of over 100 different chemical compounds often categorized into groups, including but not limited to volatile oils, such as tumerone and zingiberene and curcuminoids like curcumin and demethoxycurcumin. Curcumin is the most active ingredient found in turmeric and is responsible for the orange-yellow hue of the root as well as the numerous medical properties offered by consumption of the powder. Curcumin is also an organic chemical known as a Polyphenol. Polyphenols are any organic compounds, often found present in different kinds of food and liquid-like green tea or chili’s, that allow that food or liquid to act as an anti-inflammatory. Curcumin is also the compound responsible for numerous other health benefits provided by the consumption of turmeric powder. However, the curcumin content found in turmeric powder is considerably less than the preferred amount to be consumed, and the human body absorbs curcumin at a very slow rate. Studies have now shown that blending turmeric powder with black pepper can help increase the rapid absorption of the curcumin by the body, as black pepper contains piperine. Most turmeric supplements available for sale are also usually blended with piperine to increase their effectiveness. While small amounts of inflammation in the body plays a role in staving off disease, fighting foreign bacteria and can even help in repairing internal body damage, chronic inflammation can lead to the body literally attacking its own tissues and cells and causing severe pain and discomfort. It has also been noted in recent studies to develop into more serious illnesses such as metabolic syndrome, heart diseases, and other degenerative disorders. Turmeric Curcumin, with the help of the polyphenol Curcumin, can help to reduce inflammation drastically in long-term suffers and has been found to be more effective than many of the available prescription drugs for anti-inflammation and has the added benefit of minimal side-effects and is completely free of synthetic substances. It affects the molecules that travel to the nuclei and activate the inflammation-related genes, by blocking off the molecule at the source, before it can reach the nuclei. That is to say, turmeric can treat and prevent inflammation on a molecular level. Turmeric powder can also be mixed with water and applied as a paste onto the skin to treat irritation and inflammation of physical wounds as well as swelling, bruising and joint pain. This is one of turmerics most beneficial properties as antioxidants in the body can treat most ailments. One of the leading causes of aging and body degradation is oxidative damage. The body builds up many highly reactive molecules known as free radicals that tend to react with unpaired electrons and other more important organic materials in the body. When these free radicals interact with the protein and DNA in our body, as well as fatty acids, it can lead to chronic pathological degenerative disorders, such as atherosclerosis and heart problems and can even lead to cancer. Turmeric Curcumin benefits include that it is doubly effective as an antioxidant as it blocks the free radicals from reacting while at the same time enhancing the body’s ability to protect itself from oxidative damage. The chemical composition of Turmeric allows it to act as an anti-oxidant, and the curcumin present in the root can also create enzymes that increase the body’s own antioxidant production. Due to its properties as an antioxidant, consumption of even small amounts of turmeric powder every day can help to stave off the intrusion and spread of cancer cells in the body. Turmeric is a natural herb with the potential to not only curb the spread and growth of cancerous cells but has even been observed to have the capability of killing cancer cells completely. The cancer cells, as they claw and tear away at the body, still act as any other cell does and requires a constant supply of blood from blood vessels. Turmeric has properties that essentially cease the supply of blood to cancerous cells, which, over time, could destroy the cell in its entirety. Studies and experiments have been performed on animals with cancerous tumors that conclusively showed that the introduction of turmeric into the animal’s system curbed the growth of the tumor completely. Turmeric is often promoted as a natural less harmful alternative to cancer treatments, as chemotherapy and radiation can severely damage the body in the process of destroying cancer cells. A University study also found that combining turmeric with the reactive agents present in platinum resulted in the curcumin content of the turmeric becoming more soluble and thereby more easily absorbed by the body. An increased curcumin content in the body is one of the most effective ways to combat cancer. One essential growth hormone produced by the brain is what is known as the Brain-Derived Neurotrophic Factor (BDNF). This hormone is the primary operator behind the process that allows the creation of multiple new neurons and new connections in different specified parts of the brain. Curcumin, the main component of turmeric, has been linked to an increase in the hormone levels of BDNF in the brain. An increase in the BDNF levels of the brain has been known to result in delaying the onset of many degenerative brain diseases, and in greater amounts could even result in reversing reductions in brain function that may be caused by increased age. Studies are now being delved into to confirm whether these increased in BDNF levels caused by consumption of turmeric could also result in improved memory function and even enhanced intelligence. We already know that consumption of turmeric can enhance brain function and increase the hormone levels in the brain to inhibit and in some cases even reverse degenerative brain disorders. Alzheimer’s disease is one such disorder that is not only one of the leading causes of dementia but is also one of the most prevalent neurodegenerative diseases across the globe. As it causes are still being determined, treatments for this ailment are also still in the works. However, one cause that has been attributed to the onset of Alzheimer’s disease in people is the build-up of amyloid plaque in the brain, an entanglement of pure protein. Frequent use of turmeric has been studied and revealed to help curb this plaque build-up which could both delay, and one day, maybe even cure Alzheimer’s disease, though more controlled studies are required to confirm this. However, turmeric still stands as an exceptional treatment for Alzheimer’s disease, which has numerous complications relating to oxidative damage and heavy inflammation. Heart problems affect people all across the globe, and an increasing number of cardiac arrests have become an area of concern for healthcare professionals everywhere, with ischaemic heart disease being the top global cause of death. While there are numerous things that can contribute to the presence of heart disease in an individual, the curcumin present in turmeric has a number of properties that help to protect your heart, reduce your risk of getting heart disease and can even reverse some parts of the process that a pre-existing heart disease impacts. Firstly, turmeric has a huge role to play in the antioxidation of the body as well as in reducing and treating inflammation, both of which are extremely prevalent in patients suffering from heart diseases. However, the most important role that curcumin has to play in the prevention of heart disease is the improvement of the body’s endothelial function. The endothelium is the lining around the blood vessels and is essential in the regulation of basic heart functions such as blood clotting and blood pressure levels. When the endothelium is unable to function at full capacity, it can be a major driver in the development of heart disease in people. Consuming frequent amounts of turmeric powder can improve the functioning of the endothelium as effectively as exercise and even prescription drugs used to treat heart problems, according to multiple studies done. One study even tested the presence of turmeric on patients with heart problems and found that there has been a decrease in risk of heart attacks for the patients who had taken the curcumin, by up to 65%. Arthritis is the medical terms to categorize multiple existing joint pains conditions and disorders under a single umbrella term. It is most commonly experienced in persons above the age of 50, though it is not completely uncommon for younger or middle-aged persons to also suffer from one of the many forms of arthritis. Most forms of arthritis manifest as severe pain and inflammation in joint areas, which makes turmeric ideal for treating it. Whether being ingested in food items or mixed into a paste with water and is applied as a substitute for topical creams, turmeric has anti-inflammatory properties that studies have shown can really help arthritis patients manage their pain and reduce the inflammation in the affected areas. 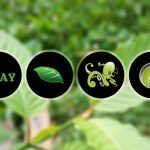 Previous Post Benefits of Kratom: How can Kratom help you? Next Post What are the Different Strains of Kratom?